We first met Sam Schroth as a newly injured patient at Craig Hospital in 2013. At age 21, she sustained a spinal cord and traumatic brain injury after a dead tree fell on her. We loved her upbeat attitude, friendly demeanor and optimism. We’ve continued to follow Sam’s journey through her blog. In the year since she’s been away from Craig, she’s already done a lot. Recently she was named Ms. Wheelchair America. 1. What have you been up to in the year since you were at Craig? It’s strange to think it’s really only been just over a year since I left Craig because so much has happened. Sure, I took it easy for the first few weeks after returning home, but I get bored pretty quickly so just hanging out and watching way too much TV only lasted so long. I’m currently working part-time doing research and volunteering at a local hospital as a spinal cord injury peer mentor as well as volunteering with a local high school student ministry group. I think one of the cooler things that I’ve got into since leaving Craig is racing. I was a runner before my injury and was supposed to run Grandma’s Marathon in Duluth, MN the summer I was injured. Now, I will be racing this (and I’m sure many other marathons) in my awesome lime green racing chair I received with the help of the Challenged Athlete Foundation. It takes a lot of practice and training, but I’m loving every push and I’m quite a bit faster in my racer than I ever was running. What takes the cake for my year post spinal cord injury activities is my involvement with the Ms. Wheelchair America Organization. Ms. 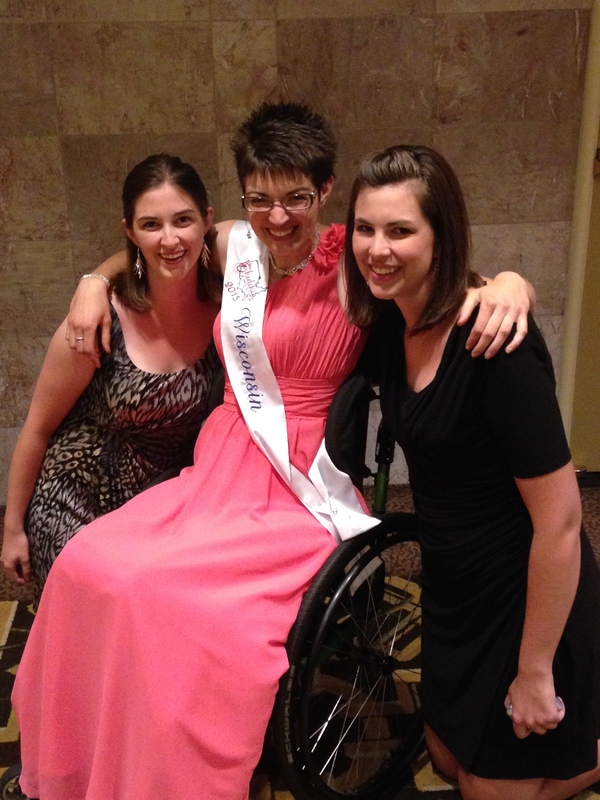 Wheelchair America is an organization that seeks to provide an opportunity for women wheelchair users to educate and advocate for the approximately 54 million Americans living with a disability. It’s a competition based on advocacy, achievement, and communication to select the most accomplished and articulate spokeswoman for persons with disabilities. Since being injured, I’ve loved sharing my story (especially with kids) and showing them all I can do. So, I thought the program was right up my alley and was crowned Ms. 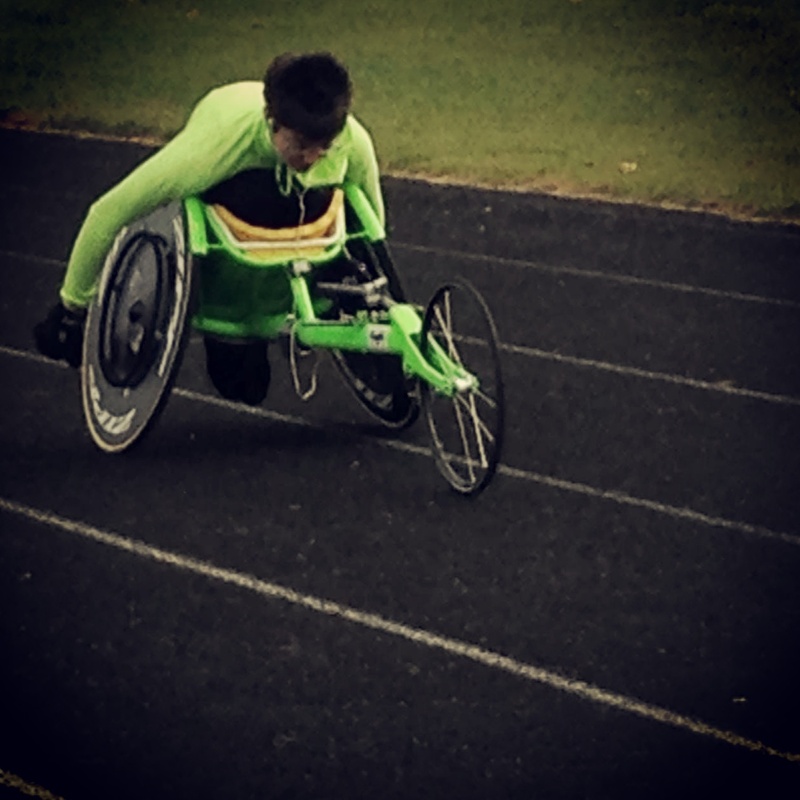 Wheelchair Wisconsin in March 2014. 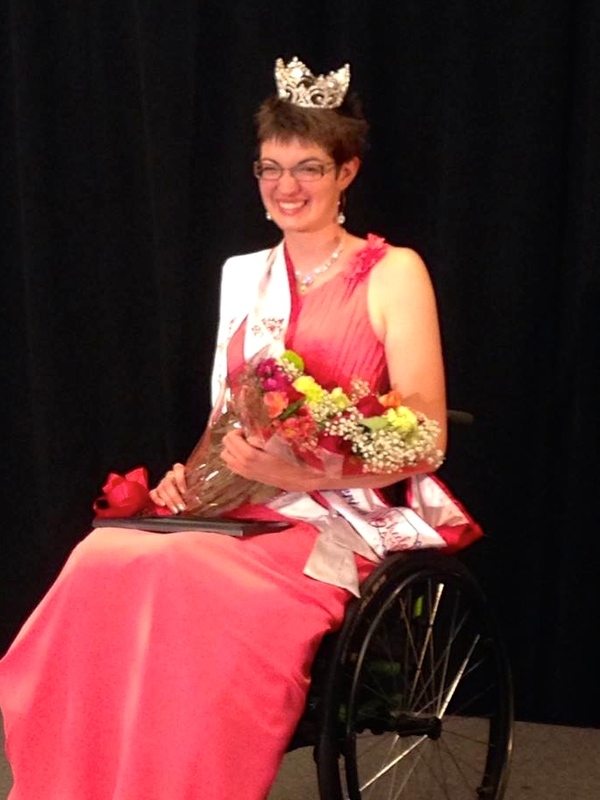 In August I traveled to California to compete in the national competition and there I was crowned Ms. Wheelchair America 2015! 2. Tell me how you got involved with Ms. Wheelchair America? Interestingly enough, Craig would be the reason. I love reading bulletin boards and I can remember rolling into the Peak Center and always checking out that particular board. One of the things on said bulletin board was a picture of Ms. Wheelchair Colorado. I didn’t really think much of it at the time, but during those first few weeks of boredom after returning home, that picture came to mind and I did some Googling. One thing led to another, and here I am! 3. What is it you most hope to accomplish this year? I want to challenge misconceptions. That was something I struggled with when I initially returned home, all the “pity stares,” assumptions that I can never amount to anything anymore, and that my injury and the fact I live with a disability is “such a shame.” Sure, it stinks sometimes, but I can and will do the things I set out to do. I want other people to recognize that just because I move through the world in a different way doesn’t make my (or any other wheelchair user) life any less awesome. 4. What message do you hope to pass on to others through this title? I want to encourage others, both abled and disabled, to start learning and talking. There are so many things I never realized about living life with a disability before I was injured and as a newbie to the wheeling world, so much I still haven’t learned. It’s so important to learn about and respect those differences that are simply a part of who a person who is, but not all they are. 5. 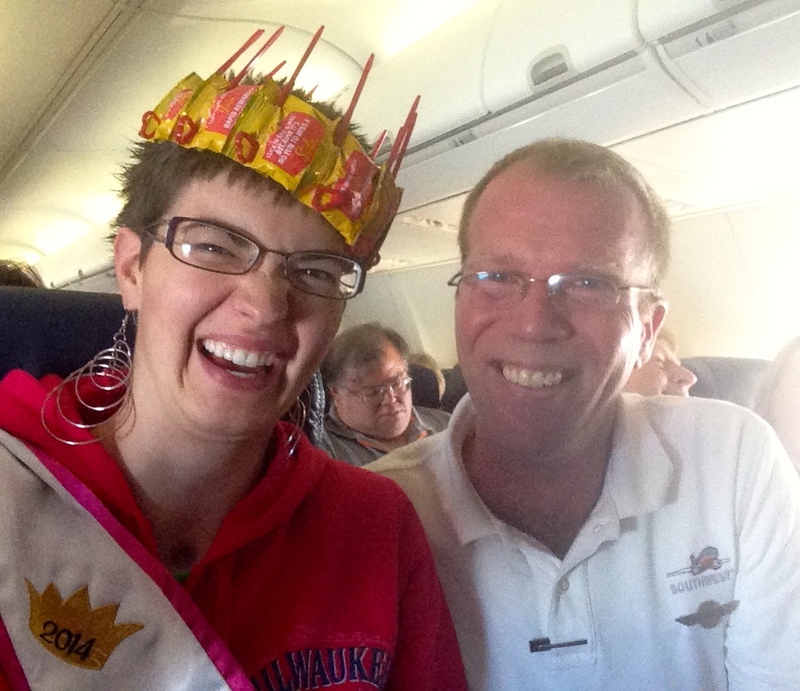 Tell us about the flight attendant on Southwest who made you a crown? That was so awesome! 6. What’s next on the horizon for you? That’s a really good question… As Ms. Wheelchair America 2015, I’ll spend my year traveling around the country, speaking to groups and organizations in hopes to educate and advocate for others living with disabilities. I’ll be in Arkansas in a few weeks and South Dakota a couple after that, so that should sort of keep me out of trouble. In regard to what’s next in my life, I’m hoping and praying medical school. It’s a challenging process to get accepted, especially as someone with a very unique application. But, I plan to work as hard as I need to, to get myself there. Challenges and obstacles are meant to be overcome, right?